RICHMOND, Va., Mar. 21 /CSRwire/ - The Smithfield Foundation, the philanthropic arm of Smithfield Foods, Inc., is pleased to announce a $75,000 challenge grant to the United Network for Organ Sharing (UNOS) to fund a proof of concept phase for UNOS’ Timely Donor Referralsm technology pilot. Smithfield will match dollar-for-dollar all donations made to UNOS for the program, up to $75,000. UNOS serves as the nation’s organ transplant system, matching donated organs with the more than 100,000 men, women, and children awaiting lifesaving organ transplants. UNOS members encompass every transplant hospital, tissue-matching laboratory, and organ procurement organization in the United States, as well as voluntary health and professional societies, ethicists, transplant patients, and organ donor advocates. The Timely Donor Referralsm technology project’s goal is to change the inefficient manual processes utilized by hospital staff in the nation’s 5,500 donor hospitals when notifying of a potential organ donor. Automated technology will more quickly, securely, and reliably exchange highly time-sensitive information between the donor hospital and one of the nation’s 58 Organ Procurement Organizations (OPOs). The dynamic outcome of this project could exponentially increase the number of lifesaving organs available for transplantation. 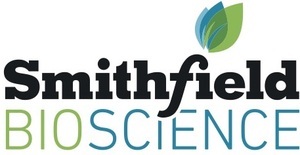 Smithfield’s contribution to UNOS is just one way the company is investing in healthcare innovations and advancements. Last month, Smithfield announced a research partnership with the University of Virginia (UVA) School of Engineering & Applied Science to explore and advance regenerative medicine technologies leveraging porcine bioproducts. The research is part of a collaborative project between UVA and Smithfield Bioscience, the company’s new strategic business platform focused on supporting a range of biotechnology solutions in areas of human therapeutics, tissue fabrication, and regenerative medicine. The Smithfield Foundation’s challenge grant provides an exciting opportunity for UNOS to obtain the needed funding to develop this technology. Individuals, corporations, and foundations interested in making a philanthropic investment in this project can contact the Department of Philanthropy or make a gift online. These gifts will be matched dollar-for-dollar by the Smithfield Foundation, up to $75,000. For more information about UNOS, please visit UNOS.org. UNOS serves as the nation’s organ transplant system, providing vital services to meet the needs of men, women and children awaiting lifesaving organ transplants. Based in Richmond, Va., UNOS is a private, nonprofit IRS-designated 501(c)(3) organization. UNOS members encompass every transplant hospital, tissue-matching laboratory and organ procurement organization in the United States, as well as voluntary health and professional societies, ethicists, transplant patients and organ donor advocates. For more information, visit UNOS.org.